Supply chains of the 21st century are becoming exponentially more complex due to increased mergers and acquisitions, the omni-channel conflict, direct-to-consumer, rapid proliferation of product configurations, same-day delivery, the recall management problem, shrinking product lifecycles, and market volatility. Moreover, today's consumers are increasingly demanding a personalized, consistent, and seamless experience across retail, online, and mobile. To be able to serve this diverse spectrum of customers, products, markets, and channels and at the same time do so in a win-win profitable manner, organizations need a cognitive integrated business planning process, which has the ability to act with speed, agility, responsiveness, and flexibility, leveraging machine learning and artificial intelligence for predictive and prescriptive analytics, thereby enabling organizations to realign their plans quickly through an always-on, self-learning, and autonomous integrated business planning process. 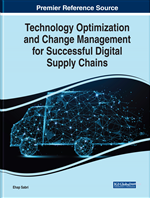 Following the industrial revolution, over the last 35 years the supply chain has gone through a linear evolution process, spanning material requirements planning (MRP), manufacturing resource planning (MRP II), distribution requirements planning (DRP), lean, vendor managed inventory (VMI), collaborative planning, forecasting and replenishment (CPFR), and business-unit sales and operations planning (S&OP). These improvements were successful and appropriate as supply chains evolved, but companies today are operating in a new world. The very backbone of the supply chain has been shaken by the digital revolution, which is characterized by innovations such as the Internet of Things (IoT), social, news, events, and weather (SNEW) data, 3D printing, quantum computing, robotics, demand sensing, artificial intelligence (AI), machine learning (ML), and neural networks, among other things. Cognitive Integrated Business Planning: Cognitive IBP involves a closed-loop continuous process, where different internal and external stakeholders from sales, marketing, development, operations, sourcing, finance, and trading partners come together in a formal structured process to create an integrated company game plan that reconciles the views of all functional areas at the same time making sure that this plan is in alignment with the strategic business plan. A cognitive IBP process has the ability to ingest real-time signals (from the digital edge via SNEW data and competitor promotions, as well as from physical assets like smartphones, sensors, radars, and satellites), provide predictive visibility to warn or sense a disruption before it happens, and then leverage prescriptive analytics to manage the unpredictable through risk mitigation plans. Lean: Lean is a process of waste elimination and increasing operational efficiency. SNEW: The ability to ingest real-time digital signals – from external sources such as SNEW (social, news, events, and weather data) can help provide predictive visibility to sense an event/disruption before it happens with the goal of making better and faster decisions. Risk Management: Risk management is the process of doing what-if scenarios to enable risk mitigation strategies so as to minimize the impact of unfortunate events. Agile: Agile is the process of increasing flexibility and responsiveness. Change Management: Managing people/teams/organization and transitioning them from the current AS-IS state to a future TO-BE state. Machine Learning: Machine learning is a field of artificial intelligence that uses statistical techniques to understand the patterns behind the data, establish co-relation between those patterns and “learn” from data, without being explicitly programmed. Segmentation: Segmentation is the process of stratifying the portfolio (product, market, channel etc.) into clusters based on attributes like risk, margins, criticality, revenue, volume, lead times, life cycle stage, etc., which helps the organization put more emphasis and resources on key customers and products and make decisions on product portfolio management, as well as entry/exit of markets to enable an organization to offer differentiated service treatment to certain groups.